Make sure you work with a roofer in Walnut Grove that puts you first! Several roof companies use destructive techniques, damaging good sections of your property while they work. Others have an awful work ethic, coming and going as they please and not respecting you or your home. 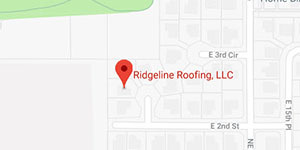 Our expert roofing team is different! Honesty, integrity, and friendliness are our core values. But there’s more than fun and recreation in Walnut Grove. As the location of the Clark County Food Bank, this is a great place to give back some of the savings you’ll get on your roof by helping others. Even in an affluent nation like the United States, hunger is a very real problem. Many people don’t want to bother their friends and neighbors so simply sacrifice on their own. But there’s something you can do to help. The food bank’s food distribution program tries to identify people in need and give them access to healthy food that can keep them going. They also have storage in case of an emergency, such as someone losing their home and all of their food storage in it. It’s a great way to give back to the community.